The culture of Cascadia is different than most investment banks. Although the end result of our work is a transaction, we are not transactional in nature. Rather, we strive to be independent, trusted advisors over the long term, and often consult with potential clients for many years before pursuing a deal. The core of our work is to align interests with our clients and optimize outcomes, versus just getting a deal done. We are building a business, not just doing deals. This drives a very different set of values and actions than what you see traditionally in investment banks. We are driven by a long-term focus, a direct “tell-it-like-it-is” approach, and grounded high confidence level advice; while always aligning our engagements to exceed the expectations of our clients. Your success is our success. In business, I am passionate about our team and our clients. I am fortunate to work with the best people in our business, and I am honored to have many of the best companies in the Pacific Northwest and across the U.S. entrust the most important transactions of their lives to us. I am especially passionate about working with family business. I respect the focus on family and business that results in a unique and authentic balance of core values and profit motivations, and I see these family companies as the core engine in our economy and society. In life, I am passionate about my family (my wife Mickey and three kids Annika, Carson and Addison) who bring me joy and balance, my friends, exotic international travel to learn about different places and cultures with my family, and my Chicago Cubs, who finally erased the curse of the goat to win the World Series (and I was there to cheer them on all the way through game 7 – Go Cubs!). Christian’s career has spanned a broad range of investment banking experiences including sell-side M&A, buy-side M&A, equity private placement, debt placement and strategic advisory work in transactions ranging from $25 million to $4 billion. His private equity experience includes leading over 75 transactions with many of the leading private equity firms across the U.S. He has a particular expertise in advising family businesses. Christian founded the firm’s middle market investment banking practice, focused on advising leading private and family companies nationally and in the Pacific Northwest. He also has a national practice covering a range of world-class CEO and board level relationships across the U.S., and he leads the firm’s family business efforts. Over his career, Christian has built a substantial network of public company CEO’s across a wide variety of industries. These CEO relationships have been a pivotal part of his ability to provide a differentiated level of advice and value-add to his private and family company relationships to facilitate such things as board participation, strategic advice and transaction related work. 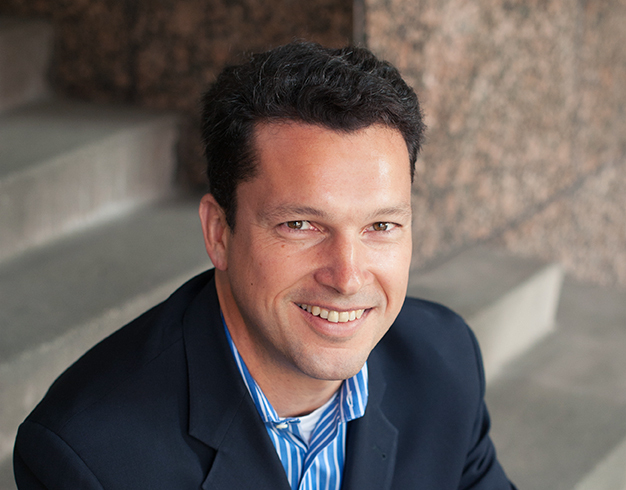 Christian Schiller is a Managing Director at Cascadia Capital responsible for new client origination, channel partner relationships, Cascadia brand and marketing, and mentoring our rising stars. Christian is also a very active participant and leader in the family business segment across the Pacific Northwest, working proactively with family business leaders to facilitate various strategic initiatives. With over 23 years of investment banking experience, Christian has closed over 100 transactions in a variety of industries across the U.S. and globally. Prior to joining Cascadia in 2004, Schiller was Managing Director for Cook Associates in Chicago where he focused on private equity transactions with private and family held companies. Previously, he was Vice President of Business Development with Maxim Partners, a Chicago-based private equity group. Christian holds a B.A. with Honors in Economics from Carleton College. Dedicated 22-year investment banking career focused on serving family businesses. Deep national experience and relationships in private equity and flexible capital solutions. Transaction experience covers a broad range of industries both in the Pacific Northwest and across the U.S.
Passionate about global travel, enjoying life experiences as a family and learning through travel. Traveled as a family to the Galapagos Islands, Turkey, Greece, Borneo, Myanmar, Australia, Sweden, France, UK and Thailand. A personal life journey to Antarctica was among the most incredible experiences of my life. In 2018, celebrated my 20th anniversary with my most important client (my wife) on an amazing trip to Paris, Santorini and Amalfi. Passionate fan of the Chicago Cubs and enjoyed the ride at the World Series in 2016 all the way through the epic game 7 victory! Loves an active lifestyle and enjoying the outdoors, including running, skiing, boating, fishing, golf and tennis. Christian has focused his career on supporting family businesses and is pleased to share his expertise. View more resources here.